The mid-size segment, while not as important as it once was, still serves those seeking no-excuses room and comfort for four adults. Many former mid-size buyers have downsized into the larger compacts now available, while others have migrated to compact CUVs that offer similar passenger space and greater cargo versatility. 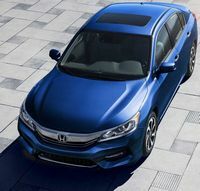 All-new vehicles in this segment include the market leading Honda Accord and Toyota Camry, the first time in a long time that their product cadences converged. FCA's retreat from the passenger car market gathers pace with the disappearance of the Chrysler 200. Most cars in this segment were once available with V6 engines, but high-performance fans will have to be content with turbo fours in all major players except for the low-volume Ford Fusion Sport and the Toyota Camry. The turbo fours that are easier to package and yield lower fuel consumption figures in U.S. Government fuel consumption tests, if not in real life, but don't exhibit the silken sound profiles of the V6. Active safety, including active cruise control, lane departure and collision warnings, are becoming more and more prevalent on cars in this segment. A Redline package on the LT trim is about all that is new for 2018. Shunned by buyers, the undersized 2013-2016 Malibu was replaced by this all-new model that grew to about the same size as the successful 2008-2012 model. Despite an overly busy front end, styling is contemporary and at least as attractive as other cars in its segment. The cabin reprises the twin-cockpit design theme used since 2008, and is fully competitive in terms of style, fit, and finish. Rear legroom, which was a significant shortcoming of the previous Malibu, is quite generous due to a much longer wheelbase. The front seats are supportive but the rear seat is mounted a touch too low for adult comfort. A 160 horsepower 1.5L turbo four replaced the previous normally-aspirated 2.5L four. The new engine is both quick and smooth. Small-displacement turbo engines flatter the U.S. government fuel economy tests, but the real-world reduction in fuel consumption is likely to be modest at best, and the more complex engine may increase service and repair costs. A 2L turbo four is optional once again, but it is now mated to a nine-speed automatic instead of the six-speed used previously. The Chevrolet Malibu hybrid powertrain employs a 1.8L four-cylinder gasoline engine and electric motors to produce 182 total system horsepower that is sent to the electrically-driven front wheels. The powertrain delivers good performance and fuel economy, but the 1.8L four-cylinder engine is surprisingly loud, especially when compared with the very quiet engine used in the Volt offered by the same company. Typical mid-size car intenders may find the Malibu's very firm ride and prominent road noise disappointing. The 1.5L turbo four is quick, quiet and nicely matched to its six-speed automatic transmission. The ride of the conventional 1.5L Malibu is more absorbent than it was on the hybrid variant but road noise is high for a vehicle in this segment. Pleasantly weighted steering and solid braking. At just over $22,000, the base Malibu is well equipped for the money. The price gap between the base and the LS trim is excessive but the LT trim is priced to reflect the value of its content. The Premier trim is pricey enough but includes a wealth of equipment as well as the powerful 2L engine and the nine-speed automatic transmission. The True North package offers much of the equipment standard on the Premier , including leather seating, active security equipment and a sunroof but skips the more powerful 2L engine. The Leather and Convenience package contains the more desirable aspects of the True North package but at a lower price. The Redline package is priced to reflect its value and does deliver a sporty-themed look. The Malibu Hybrid is priced $5150 higher than a similarly-equipped 1.5L LT.
Not rated. All new car. Free oil changes (up to four changes, based on oil life monitor in the car) for two years or 40,000 kilometers. City Fuel Economy: 8.8L/100 km. Highway Fuel Economy: 6.5L/100 km. Active Safety Features: Available blind spot, rear cross-traffic, lane departure and forward collision warnings. Available lane kee assist and adaptive cruise control with auto brake. Additional airbags: Knee airbags for both front occupants and side airbags for outboard rear passengers. No changes of note for the Fusion this year. Ford has announced that it will abandon this segment in the next few years so if you want a mid-size Ford, you should buy now. Equipped with a 1.5L turbo four hooked to a six-speed automatic transmission, the Fusion delivers solid acceleration, is flexible and refined on the open road, but sounds coarse and feels lethargic in city driving. In a group test that included the four-cylinder versions of the Honda Accord and Nissan Altima, the Ford was notably slower than the two Japanese-branded cars. The Fusion's six-speed automatic transmission functions well but was a tad reluctant to kickdown when requested. Nicely weighted and geared steering. The ride-handling compromise reflects careful development and is in keeping with the Fusion's mission as a large family hauler. Solid brakes. The swoopy styling, especially the swept back windshield pillars, restricts outward vision. The turbo fours in the Fusion use more fuel in real-world use than their official fuel consumption figures would indicate. Most Fusions will be powered by a four-cylinder engine. Two turbo fours, a 1.5L with 181 horsepower, a 240 horsepower 2L four, as well as a 175 horsepower normally-aspirated 2.5L four, are offered. New for 2017 is the Ford 2.7L V6 turbo that produces 275 horsepower and a whopping 350 lb.-ft. of torque. A conventional six-speed automatic is the sole transmission available on non-hybrids. All-wheel drive, standard on the V6 Sport and Titanium trim level, is optional on the 2L SE. Two hybrids are offered. A conventional hybrid twins a normally-aspirated 2L four with an electric motor to create 188 combined horsepower; with a plug-in "Energi" model employing the same hardware but its lithium-ion batteries can power the car in full electric mode for the first 43 kilometres, after which the car reverts to "conventional" hybrid operation. The base S model is well enough equipped to suit some buyers but is hard to find on dealer lots. The SE model, with a number of features such as electric seats, a rear centre armrest and satellite radio, at a good price. The 1.5L turbo four is priced $1550 higher than the base 2.5L four. Stepping up to the 2L engine over the 1.5L is theoretically priced at $2400 but in reality costs $3100 as a number of options are forced onto buyers to get the stronger engine. The 2L is standard on the Titanium and Platinum trims. All-wheel drive is a $2000 option on a 2L SE but is standard on Platinum, Titanium and the V6 Sport. The hybrid model is priced $100 more than the Titanium trim but $5000 on the SE. The plug-in hybrid Energi model is priced $2300 more than a Fusion Titanium hybrid and $5500 more than an SE hybrid. Big rebates are available on the plug-in models. Rated average. Some expensive failures of the 2L turbo four. Unproven 1.5L turbo. The 2.5L is the best engine choice. 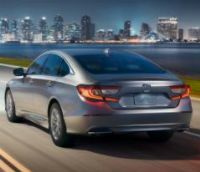 An all-new Accord went on sale in the fall of 2017 in sedan form, consigning the coupe to history. An Accord hybrid model joined the lineup late in the model year. The 10th generation Accord, like the most recent Civic, is a radical re-imagining what the Accord can be, and totally reboots the nameplate. Its silhouette has echoes of the new Civic, but eliminates a lot of the extraneous styling gargoyles of the Civic, resulting in a sleek elegance. The cabin looks upscale and is constructed from attractive components. A 1.5L turbo four is standard, with a 2L turbo optional. A six-speed manual is standard with both engines. The 1.5L is hooked up to a CVT; with the 2L mated to a conventional 10-speed automatic transmission. 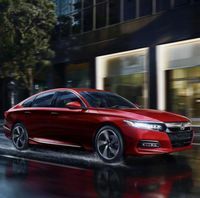 Responding to negative comments about the infotainment system in the Civic and Pilot, Honda has developed a new infotainment interface for the Accord that is delightfully straightforward to use. The climate controls are not only easy to use but its control knobs turn with satisfying precision. Seating is comfortable, but the very wide centre console is in exactly the wrong spot for drivers with long femurs, resulting in knee pain. The rear seat is supportive, legroom is abundant but headroom may be tight tor the super tall. The trunk of the new Accord is spacious. The 1.5L turbo four powering the Accord is quick, flexible and quiet when cruising but drones annoyingly at low speeds and when gentle acceleration is needed. The CVT harnesses the power of the 1.5 turbo very well. While numb, the steering is precise and nicely weighted and brake pedal weighting and feel are excellent. Honda has done a good job at reconciling ride and comfort on the new Accord. Driver's sit low in the new Accord and the high beltline results in less than panoramic visibility. The fastback-like rear window gathers snow quickly and the rear defrost could be more effective. Driven in very cold weather, the engine took a long time for the temperature needle to become visible and window defrosting was slow until the engine reached operating temperature. Mixed fuel economy of 13L per 100 km was high but might reflect both the extreme cold during our time with the car as well as extended idling necessary to clear frost from the windows. Nicely equipped base model will suit the needs of a lot of buyers. Moving up from the LX to the Sport trim adds a number of excellent features for a reasonable price. The EX-L trim, which includes a power passenger seat, heated rear seats, an acoustic windshield, heated steering wheel and satellite radio, is good value. Good value 1.5L Touring range topper. The 2L engine will set buyers back $3000 more than the 1.5L on the Touring and Sport trims. Hybrid: the base Accord hybrid is nicely equipped and the top-spec Touring trim is good value if you desire its additional equipment. Compared with a similarly equipped Accord 1.5 T Touring, a hybrid Touring commands a $4,000 supplement. Good value leasing. Above average reliability predicted overall. However, reports of engine failures on the 1.5L turbo four are starting to trickle in and Honda does not seem to have a fix for the issue yet. Active Safety Features: Available forward collision, active cruise control, collision mitigation braking, lane keep assist and lane departure warnings. Mid-cycle refresh including restyled front and rear ends as well as some cabin revisions and some mechanical updates as well, including an eight-speed automatic transmission on the turbo model. Blue Link, akin to the GM OnStar system, is standard starting with the GLS trim level. Hyundai has not released 2018 versions of the hybrid and plug-in hybrid variants. The Sonata's cabin has abundant soft-touch surfaces, attractive materials and looks chic. Though the dashboard contains an intimidating number of buttons, they are logically arrayed, segregated into separate audio and climate functions and quite easy to deal with. Big, clear gauges with crisp graphics. The front and rear seats are very comfortable. The Sonata is lower than many competitors and ingress and egress can difficult for the older, prosperous types who would consider the Sonata. Large trunk. The Sonata is powered by the same normally-aspirated 2.4L four and 2L turbo that have been used for many years. In APA testing, the 2.4L Sonata is smooth and quiet. Hyundai’s six-speed automatic shifts gears smoothly and responds particularly well in city driving. Observed highway fuel economy of under 7L/100 km is impressive for this segment, as is range, which, according to the trip computer, promises around 850 kilometres on a full tank. The performance delivered by the base 2.4L four renders the 2L turbo superfluous. The 2L turbo, now hooked up to an eight-speed automatic transmission, is very fast when pushed but feels pedestrian in typical driving and has a distinct exhaust resonance around 1500 rpm. Advanced safety equipment such as Forward Collision Warning, Adaptive Cruise Control with stop and go capability, Blind Spot and Cross Traffic monitors, Lane Departure Warning, Forward Collision warning and Lane Change Assist, are available. Roughly 10,000 Sonatas were sold in Canada last year, compared with the 14,000 to 15,000 examples of the Ford Fusion, Honda Accord and Toyota Camry that found buyers in 2016. Well-equipped GL base model, but the GL Sport model, with alloy wheels, power driver seat, keyless go and a sunroof, is equipped in a way to suit most buyers and is good value as well. The GLS, GLS Tech and Limited trims are priced to reflect the value of their additional content. Compared with the 2.4L Limited, the 2.0 T Sport offers about $1200 in features and the turbo engine for $2300. Predicted reliability is Above Average. The previous Sonata avoided the decline in reliability that affected some other Hyundai models built since 2010. Have the rear brake calipers dismantled, cleaned and lubricated annually to postpone expensive repairs down the road. The direct injection engine is prone to accumulating carbon deposits; an air intake and fuel injection cleaning (two related services) are fairly expensive, but recommended every three years to avoid an eventual and even more expensive de-coking of the cylinder head. Available forward collitsion, blind spot, rear cross traffic and lane departure warnings as well as active cruise control with auto braking. Warranty: 5/100,000. Hybrid: 8/160,000 on all hybrid system components. The Optima's cabin is fronted by a somewhat 80s-themed dashboard that features clear gauges and logical controls. The front seats are comfortable, as is the rear bench. Cabin materials are very pleasant and the interior is quite plush. Two mainstream engines, a normally-aspirated 2.4L and a turbocharged 2L, will power most Optimas. A hybrid model that combines a 2L gas four with an electric motor for a total system output of 192 horsepower, is available. All variants feature a six-speed automatic transmission. Available active safety equipment includes blind spot and rear cross-traffic warnings, active cruise control and forward collision detection with autonomous emergency braking that can bring the vehicle to a complete stop if it detects a collision. The base LX trim level is nicely equipped and will suit the needs of midsize bargain hunters. The LX+ and EX trim upgrades are bargains. When you account for the extra equipment when you move up from the EX to the SX, the turbo engine is essentially free of charge. The range-topping SXL looks a bit overpriced. Leasing is acceptable value. Good reliability predicted on the 2.4L normally-aspirated four. Average reliability predicted for the 2L turbocharged engine. Active Safety Features: Blind spot and rear cross-traffic warnings, active cruise control and forward collision detection with autonomous emergency braking. Late cycle update for the 6. A new grille, L.E.D. 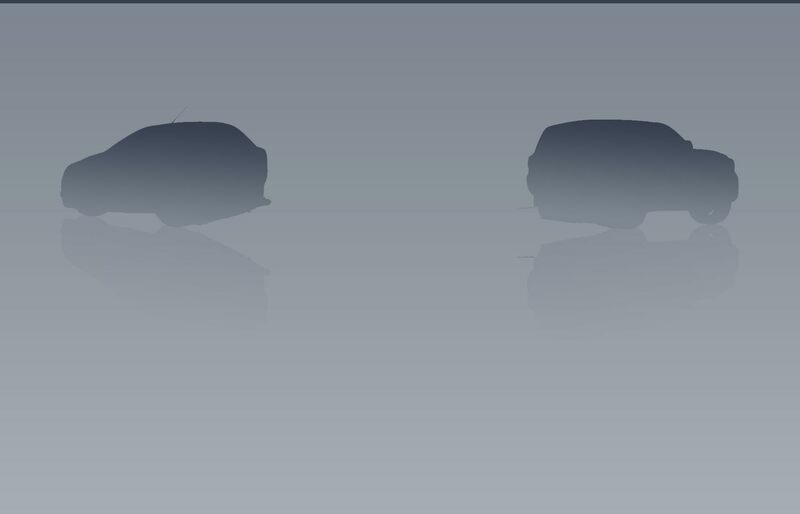 headlights and new road wheels are featured outside. Cabin updates include a redesigned dashboard. TFT instrumentation on premium models, an eight inch infotainment screen, totally new seat and a Signature range-topper with Nappa leather, ultrasuede and "Sen" wood trim. The normally-aspirated 2.5L four, which gains a cylinder shut system, is joined by a 2.5L turbo four that churns out 227 horsepower on regular gas. Body revisions result in greater rigidity and a new steering rack and suspension revisions are said to improve steering precision, ride and handling. The 6’s normally-aspirated 2.5L four delivers is flexible and delivers good urge and acceptable refinement. The six-speed automatic transmission works unobtrusively and is particularly smooth in stop-and-go traffic, where other automatic transmissions can turn indecisive. Crisp handling but supple ride, solid brake feel, nicely-weighted steering and good overall refinement. Small windows translate to limited outward visibility. Despite substantial exterior dimensions, the 6’s cabin space is noticeably less roomy than the Accord, Camry and Sonata. Elegant conventional gauges are set in an attractive horizontally-themed dashboard that features an aftermarket-looking stuck-on infotainment screen. The 6’s cabin design, assembly quality and the rich look of its interior components are all impressive at this price point. Audio quality was very good on the GT model driven. A large, but shallow trunk is accessed through a small aperture. At $27,000, the base GS, with alloy wheels, blind spot and rear cross traffic monitors, L.E.D. headlamps, Bluetooth, dual zone air conditioning, push button start and heated front seats, is comprehensively equipped. The supplement to move from the GS to the GS-L, which includes leather seating, sunroof, heated steering wheel, radar cruise with stop and go, forward collision warning, lane departure warning, pedestrian detection, shift paddles and a windshield de-icer, is priced to cover the value of its additional content. The turbo engine is a a 2 000 $ option on the GS-L but is standard on the GT and Signature trims. With a name brand audio system, navigation, ventilated seats and a head-up display, the GT trim is a bargain. The Signature trim, with Nappa leather, genuine wood trim and a plethora of minor trim upgrades, is good value. Poor value leasing for 2018. Not rated due to insufficient sales. The car has generally been reliable. However, the new cylinder shut off system on the normally aspirated 2.5L four is unproven and previous Mazda turbo efforts have been unsuccessful in the hands of owners. Mazdas generally develop a few more problems than similar cars from Honda, Hyundai or Toyota. Unlimited mileage warranties and a seven year warranty for rust perforation. Active Safety Features: Available laser cruise control with stop and go, lane departure warning and collision warning.